Can’t find your ex to serve him or her with divorce papers? No problem, here’s what you can do instead, a Littleton divorce & family lawyer explains. Once someone files for divorce in Colorado, one of the essential next steps that will have to be taken before the case can proceed is having the other party in the divorce – i.e., the other spouse – served with divorce papers. While this service is necessary to alert the other party that a divorce case has been opened, it also is intended to provide the other party with the opportunity to answer or respond to the divorce petition. In some cases, however, it may not be possible to track down an ex in order to have him or her served with divorce papers. In these situations, service via publication will be necessary. Below, we’ll explain what this means and how to go about carrying out this type of service. 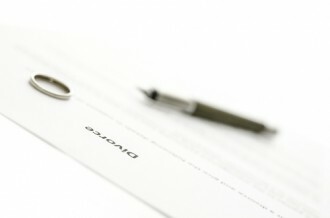 A Publication by Consolidated Notice or Publication of Summons has to be requested from the court – If these requests are granted, then the divorce petitioner will have to make sure that the Summons is published in a local newspaper at least four times (waiting a week between each publication). The divorce will typically be granted by the court – When a divorce has been converted to a “default divorce,” the petitioner will typically get everything (s)he is requesting from the divorce (as no contest or challenge will have been filed by the other party). Before you can pursue divorce service via publication, you have to have tried to locate your partner via various reasonable means, such as attempting to get a forwarding address from the post office, asking friends where to find the person, looking for the person at former known jobs, etc. You will be required to submit an Affidavit of Diligent Search to the court to attest to the fact that you have taken all possible steps to try to locate an ex to have him or her served with the divorce papers. When you are ready to file for divorce in Colorado, contact an experienced Littleton divorce & family lawyer at Bahr, Kreidle & Flicker. Since 1983, our Littleton attorneys have been advocating our clients’ rights and interests in divorce and other family law cases. Our lawyers know how serious and devastating the impacts of divorce can be, and we know that having aggressive legal advocacy through the process can be the key to realizing the best outcomes from it. That’s why we are here, ready to provide people dealing with important family legal issues with superior representation and the highest quality legal services. To get more information about your best options for moving forward with a divorce case, contact us to set up a free, no obligations initial consultation. To set up a meeting, call us at (303) 794-7422 or email us using the form on this page.